Lowry picks up trash along Meadowbrook Road. Lowry in front of his home on Meadowbrook Road. Buz Lowry isn’t waiting around for “them” to do something. Nor does the 68-year-old Jacksonian believe civic pride is a job left to city workers. From his home at the corner of Meadowbrook Road and Henderson Circle – built by his grandfather in 1940 – Lowry surveys the cleanest six-block stretch in town, all thanks to his 43-year long habit. An Ole Miss graduate and longtime banking industry veteran, Lowry and his wife, Ann, moved here in 1976 after his grandmother died. An appraiser of the property told him he was about as far west as he really should go. But the house had sentimental value. Lowry was an avid runner, logging three or four miles a day. That’s when he noticed how trashy Meadowbrook Road was. He said his son’s friends, poking a bit of good-natured fun, bought him a pointed stick to stab at the trash. Then came one with grabbers, alleviating back pain. Lowry soon expanded to a 55-gallon trash bag, but the wind proved too tough a foe. He’s been using a red five-gallon bucket for 30 years. “Three blocks that way and three that way, from Meadowhill Drive to Childress Road, both sides” Lowry explained of his territory. Lowry said people are perplexed when they see him in the street collecting rubbish and, for the last many years, blowing leaves. “’Is he looking for recycling or what?’” they might wonder. “None of the above,” he retorted. Traffic on Meadowbrook has doubled, especially since the State Street detour, Lowry has observed. And so has the trash. People sometimes slow – or even stop, and let Lowry know they’re praying for him. Lowry mentioned how his property values have increased in the last 40 plus years. He points to the development of The Barrington, the effect of Mike Peters’ hand on the downtown Fondren historic district and the explosive growth of the University of Mississippi Medical Center. 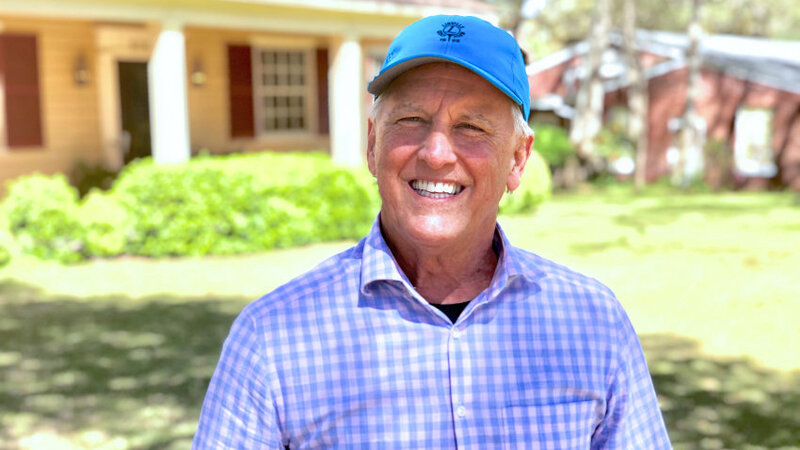 Lowry thinks his efforts are, in some small way, helpful in showing the North Fondren area as acceptable now, unlike 43 years ago when the appraiser raised eyebrows. But litter control: isn’t that the city’s job? Lowry is quick to take ownership. What would make Lowry stop? 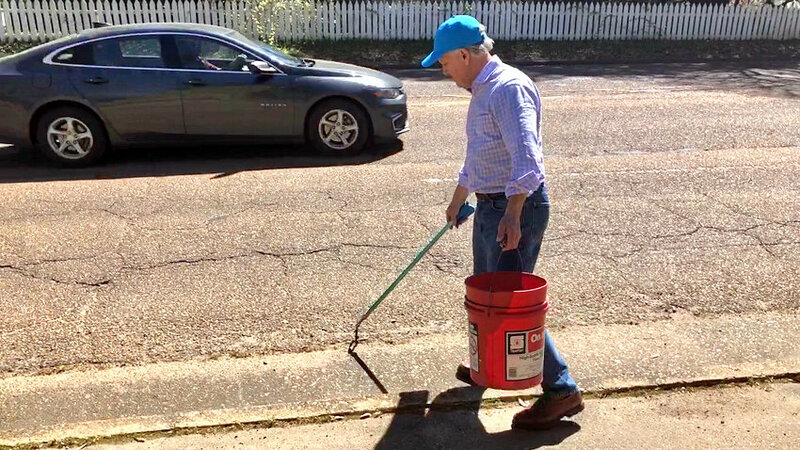 This year’s “Great American Cleanup,” which kicked off last Saturday locally with “Let’s Go Clean JXN,” is utilizing the social awareness theme, #cleanyourblock, to empower residents to be the change they wish to see.